BRADLEY Neil admits he let his head rule his heart in accepting a late invitation to join the field at the Volvo China Open. The 22-year-old European Tour rookie jumped at the chance of playing in Beijing.The Far East call-up prompted a change of plans and he will miss cheering on youngsters playing in a three-day event at Blairgowrie Golf Club in memory of mentor and former Scotland boys team captain Barrie Douglas, pictured below. More than 80 of the country’s top young players at U18 and U16 level line-up tomorrow through to Sunday at the “Barrie Douglas Scottish Junior Masters,” backed by Tayside law firm Blackadders and a string of other companies. 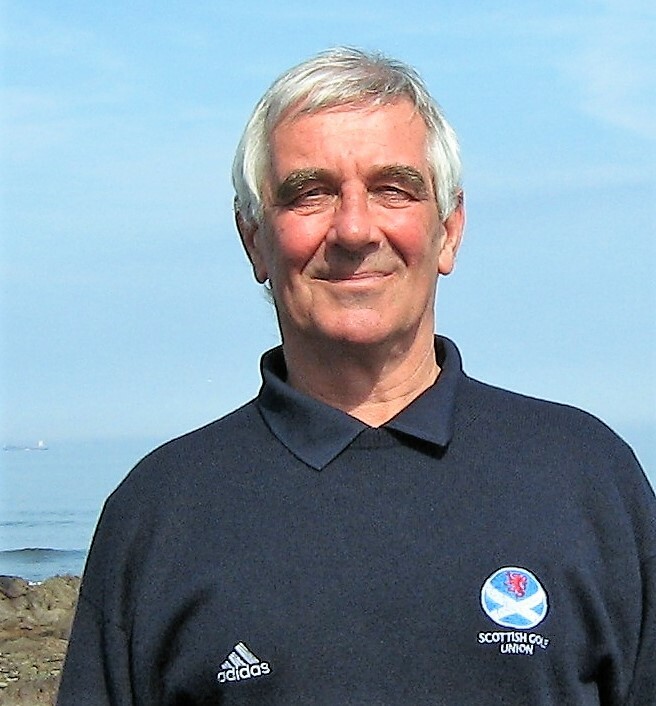 The inaugural tournament is being staged in memory of Perth family man Barrie, who took ill and died, aged 69, at last year’s European Boys Team Championship in Spain. “I would love to have been at Blairgowrie but I have a job to do. Barrie would have been first to understand,” said Neil. “It is so appropriate that the Junior Masters event should bear Barrie’s name. He was such an influential figure in Scottish and British golf for so long, for many years before he took me under his wing.“The help he gave youngsters pushing to break onto the national scene, like Wallace Booth, Gavin Dear, Kevin McAlpine, Danny Young, myself and many more, was invaluable. He helped countless juniors improve their game. “With its history and location Blairgowrie should have an annual tournament. It’s fitting we now have a competition at the club where he was a member and in his memory, supporting local juniors and youngsters from further afield. Neil missed the cut in Morocco last time out, hard on the heels of posting a disappointing final round at the Open de Espagna, where he went into the final round as a top 10 contender.But he insists his debut season on Tour is a learning curve. “I have played practice rounds with top players like Justin Rose, Rory McIlroy, Adam Scott and Sandy Lyle but Madrid was different because it was for real. Scottish Golf national boys coach Spencer Henderson is delighted that the Scottish Junior Masters field includes leading Order of Merit contenders at both U18 and U16 level. “Barrie was a true friend of amateur golf in Scotland and was passionate about developing young players,” said Spencer. The family feel to the tournament staged over the Lansdowne course is being encouraged by a Saturday fun golf evening with hot dogs sponsored by Carbon Financial Partners, who back European Tour pro Richie Ramsay. Support sponsors include GS Brown Construction, A and J Stephen, The Blue Group, T’Go, GS Group, McLeod Glaziers, Dental Technique, Club 300, Barclays Bank, Decorum Decor and the Gibson family.